Location, comfortable bed, large clean room, pleasant area to walk around, quiet area. Coffee was available all day and was very good. Very nice accomodations. Excellent restaurant. Wonderfull quiet at night. Nice to sit outside in the sun with a good espresso. Amazing place to stay while road tripping around Iceland... beautiful, clean and friendly! The people that work in the hotel are really great and the cafe has nice food and no so expensive. The room was really big and clean. The dtadf was friendly and the location is in a great little fishing village. It has very clean rooms and shared bathroom is very clean, too. There’s a buffet breakfast and free coffee and tea throughout the day. The staff was very friendly and flexible as we where stranded in Suðureyri due to bad weather. Everything. Beautiful room, confutable bed, nice staff, great breakfast. We were lucky to arrive during The performance festival of the village. The ambiance was great! 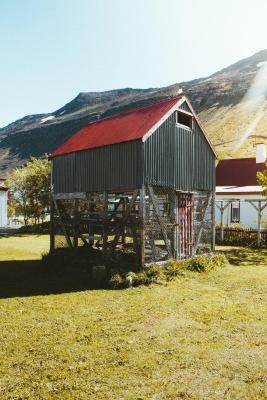 Fisherman Hotel Westfjords This rating is a reflection of how the property compares to the industry standard when it comes to price, facilities and services available. It's based on a self-evaluation by the property. Use this rating to help choose your stay! 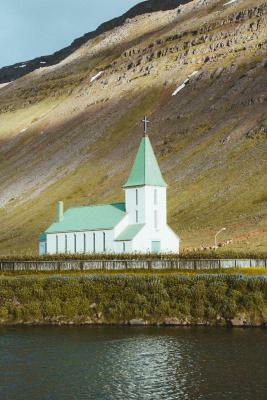 This guest house is located in the fishing village of Sudureyri on Iceland’s Westfjords peninsula. It offers a seasonal on-site seafood restaurant and bar, as well as a communal kitchenette and laundry facilities. Guests at Fisherman Guest house Sudureyri can choose either private or shared bathroom facilities. All accommodations includes free Wi-Fi, a work desk and in-room washbasin, while some also have a kitchenette. The spacious dining room at Sudureyri Fisherman Guesrhouse's café features modern furnishings and a flat-screen TV. An à la carte dinner menu is available in the summer season, while a daily fish special and packed lunches are offered the rest of the year. 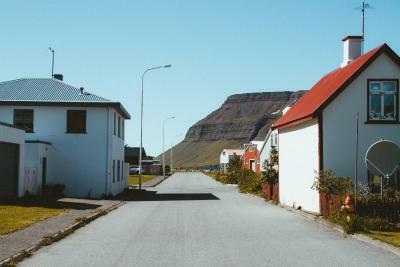 The town of Isafjordur is 14 mi away from the guest house through a mountain tunnel. Public transport is 150 feet away, while a public outdoor swimming pool is a 5-minute walk away. This property also has one of the top-rated locations in Suðureyri! Guests are happier about it compared to other properties in the area. 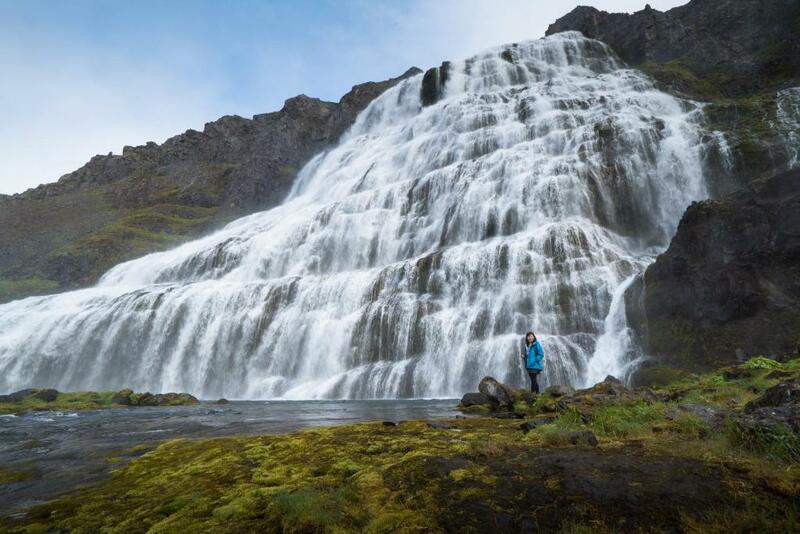 This property is also rated for the best value in Suðureyri! Guests are getting more for their money when compared to other properties in this city. 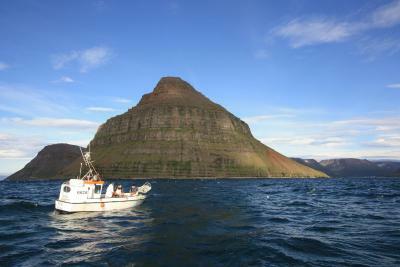 When would you like to stay at Fisherman Hotel Westfjords? Includes simple furnishings and a work desk. Bathroom facilities are shared. This simple and spacious room features a private bathroom with shower, along with a work desk. House Rules Fisherman Hotel Westfjords takes special requests – add in the next step! Fisherman Hotel Westfjords accepts these cards and reserves the right to temporarily hold an amount prior to arrival. If you expect to arrive after 22:00, please inform Fisherman Guest house Sudureyri in advance. Contact details can be found on the booking confirmation. Please note that the restuarant is only open in the summer season. Guests are kindly requested to make dinner reservations in advance. During the off-season, guests who wish to have dinner service must book in advance. Great property. Really cute little town. The included breakfast was amazing; great spread. Great cafe (we didn’t eat at the restaurant but it looked great) and the staff was so kind and hospitable. We loved it!! Really expensive comparing to other hotels. there is no internet in the rooms! Perfect place for a good holiday! Somewhat unpleasant odor, though clean. Although the web site indicated share facilities one toilet in the bathroom was hardly adequate for the 6 or more rooms in that area. The food was expensive even for Iceland standards. The stay did not do anything for us. There was only one shower and toilet for a few rooms. Booked this hotel for the award winning restaurant and it was closed for a private event that we weren't informed was happening. No other food options in town. VERY DISAPPOINTED. Also bought some canned items that leaked/were leaking and not food safe. Shared bathroom for 5 rooms. Restaurant had 2 meal choices (both were cod) and no prices listed. Very expensive.